It's impossible to dress appropriately for the weather. It will be cold in the morning, 70 degrees in the afternoon, and sleet raining in the evening. Orchards and corn mazes and fresh apple donuts! And, it's time to start making comforting, delicious, hearty soups. 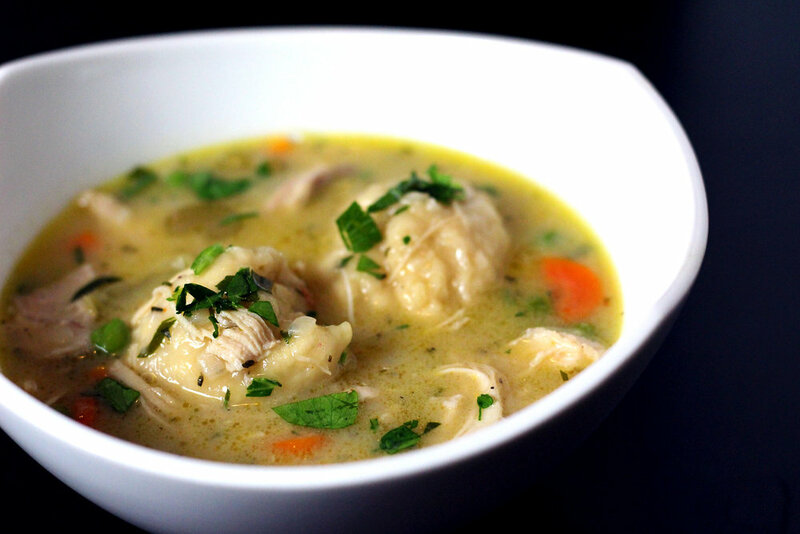 This chicken and dumplings fits the bill for that last one perfectly. It's one of the most satisfying things for me to cook because while it does take a little bit of effort, that effort is rewarded tenfold with a soup you'll be both proud to share and selfishly want to keep all for yourself. 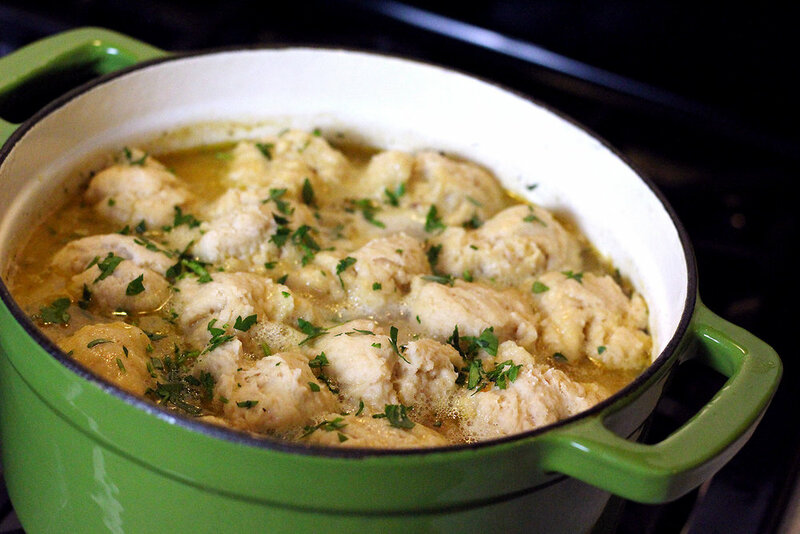 The fluffy dumplings soak up some great tastes from the chicken fat and the flavor-packed broth, so you don't want to skimp on the important steps of reserving fat and searing the chicken in the pan before starting to build the soup (don't cut corners by using a store-bought rotisserie chicken, you'll be missing out). It's fall. It's cold, it's (probably) raining, it's Sunday. Clear your schedule and make a pot of this - it will become a staple. This recipe originally came from America's Test Kitchen.